Discussion in 'Northeast - Greater Flugistan and home of the carp' started by wpbarlow, Nov 21, 2011. I was thinking that there's a certain inequality to how tag-o-ramas are played in that jobs get in the way. Or maybe technology. Certainly geography. So let's try to fix that and level the playing field with something that still requires riding, thought, strategy, and is reasonably file-photo proof. The object of this game will be to get 7 tags. The successful tagger is the first person to post all 7 items. All photos must be in a single post. That means 7 different photos in one post. Since this is a regional game, the general guideline should be things that everyone has a reasonable chance of getting. For example; if you wanted to use a shoreline/beach, it should be a lake or ocean shoreline/beach; not just an ocean shoreline/beach . Tagged objects must be "real" not toys, models, etc. of the objects, unless a toy/model/etc. is explicitly called for. The successful tagger then gets to post a list of 7 items. Needless to say, the person who wins is excluded from participating in the challenge he/she puts up. Is this going to be a pavement oriented TOR, or do I need to go out and buy a DRZ400? Pavement oriented, but a legal dirt road is in scope. If I wasn't clear, the tag objects should be generic, not specific. For example, a red house, rather than a specific red house. We'll see how it goes. I wanted something that would be fair and could be played region-wide. Simple enough? Did I miss anything? Yea...is Doc allowed to play? In And just so Im clear. You dont have to take 7 pics for the new tag? Just think of places? The thinking-only tag game will have to wait until we all reach another astral plane. That gives me a thought-- for this thread, whenever anyone whines, post this or a similar image with a "this cheese should go well with your whine sir/madam". "this cheese should go well with your whine Doc. You're supposed to include something like "fixed" when you change a quote. 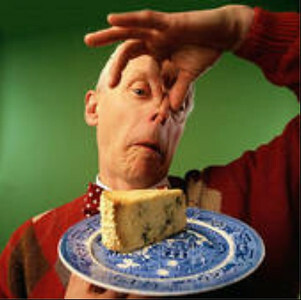 This cheese should go well with your whine Barlow. Like that ya mean? I'm in Walt. Great idea. But, you can count me in! this should be entertaining, I'm in! More like a rally event. Sounds like fun. Not to step on your riding boots Walter, but I think Hack was asking about after he wins the 1st round Saturday, then he will only have to think of 7 things for everyone else to take the pictures of.